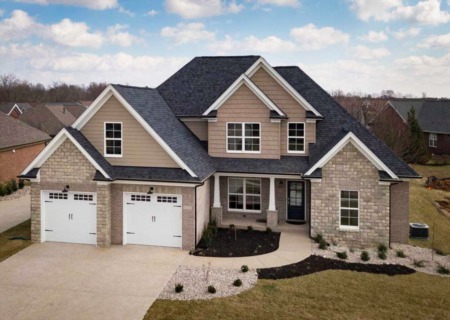 Gorgeous new construction with private backyard, built by Paragon Homes! This open, split bedroom design features spacious rooms and superior craftsmanship throughout. A well-designed kitchen offers custom cabinetry, granite countertops, large island, and beautiful tile backsplash. The private master suite features a trey ceiling, a luxury master bath, and a huge walk-in closet. Two additional bedrooms share another full bath. The laundry/mud room is conveniently located on the first floor. The full unfinished basement gives plenty of room to grow, and includes a full bath rough-in. Construction is nearly complete, don't miss this one! SchoolsClick map icons below to view information for schools near 11109 Rock Bend Way Louisville, KY 40241. Real estate listing at 11109 Rock Bend Way Louisville, KY 40241. 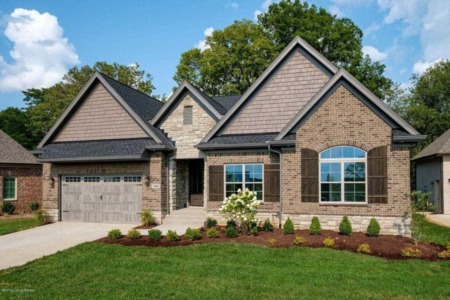 Description: The real estate listing at 11109 Rock Bend Way Louisville, KY 40241 with the MLS# 1512220 is currently listed for $449,000 and has been on the Louisville market for 248 days. You are viewing the GLAR MLS property details of the real estate listing at 11109 Rock Bend Way Louisville, KY 40241, which is located in the Rock Springs neighborhood, includes 3 bedrooms and 2 bathrooms, and has approximately 1900 sq.ft. of living area.